Extinction may not be forever. With recent technological advances, it may eventually be possible to bring species back from the dead. Within our lifetime, we could see woolly mammoths roaming the Arctic tundra. Last week, a team of scientists made headlines for sequencing complete genomes from two woolly mammoths, representing a significant breakthrough for efforts to revive the species. Although it’s a seductive idea, de-extinction is highly controversial and has sparked debate over whether we could and should resurrect extinct species (Brand 2014 and Ehrlich 2014 offer an interesting point/counterpoint on the issue). Proponents of de-extinction often focus on the technical aspects and forget that de-extinction does not end in the lab. Once they have created a perfect, breathing mammoth calf, what happens next? Who will teach the calf how to be a mammoth? How much land does it need? What food will it eat? What impact will it have on the ecosystem? Before we can seriously discuss de-extinction we need answers to these questions. Exactly how do we figure out the behavior of a species that went extinct 4,000 years ago? Of course, direct observation of their behavior isn’t possible, but scientists have found creative solutions to this problem. Analysis of the fossil record is an essential starting point. 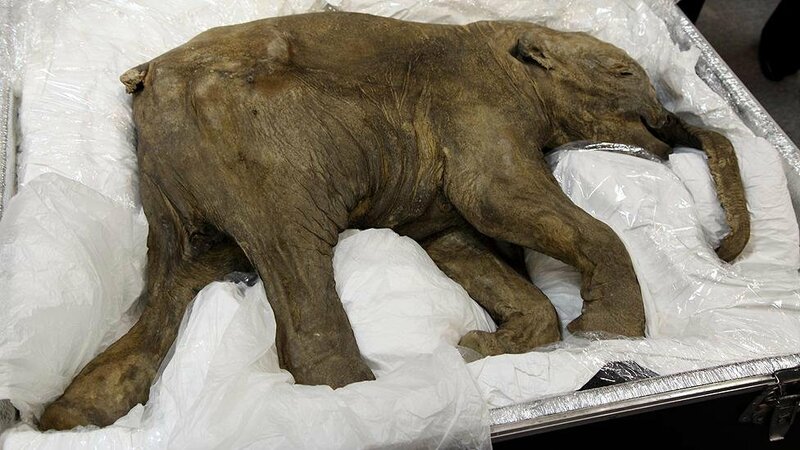 Thanks to the spectacular preservation of mammoth carcasses in permafrost, we know more about their behavior than of any other extinct prehistoric animal. Mummified remains from mammoth graveyards can provide access to bone, teeth, skin, hair, muscle, fat, and gut contents. The behavior of their close living relatives, the Asian and African elephants, also yields rich clues into the mammoth’s natural history. Mammoths inhabited a vast expanse of grassy vegetation known as “mammoth steppe” that stretched across northern Eurasia and North America. Analysis of ancient stomach contents and dung reveals a diet dominated by grasses and sedges, and their teeth and bone structure indicate these animals were adapted to a grazing lifestyle. Migration patterns have been studied through carbon, oxygen, and strontium isotope ratios in tooth enamel. These three isotope signatures track variation in diet and local vegetation, climate, and soil chemistry. Patterns in these isotopes suggest that North American mammoth herds ranged over distances of a few hundred kilometers. Like modern elephants, mammoths lived in a matriarchal society, meaning that female mammoths took charge of the family. Bone deposits resulting from catastrophic killing events indicate that groups comprised entirely females and young. The discovery of mammoth footprints in Alberta provides a remarkable example of “fossilized social behavior”. The trackways show several individuals of different ages walking side by side, similar to living elephant families. Stable isotope analysis of collagen from a juvenile tusk suggests a prolonged weaning period of at least five years. 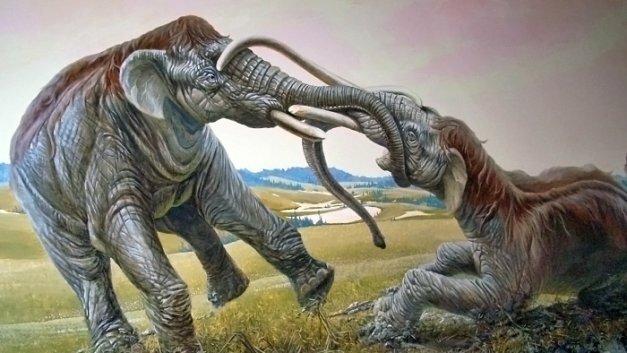 A unique find in Nebraska captures an instance of male-male conflict: two mammoth skeletons were unearthed with their tusks interlocked in eternal combat. 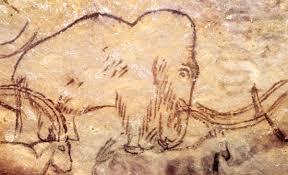 Our human ancestors have also left us hints about mammoth society; a cave drawing in Rouffignac, France depicts a meeting between two groups, suggesting a society broadly similar to that of elephants. While researchers have made great advances in reconstructing the behavior of the woolly mammoth, the question remains: can we ever fully understand what it means to be a mammoth? The fossil record provides pieces of the puzzle, but the complete narrative of their natural history vanished with them. Even if we could fill in the puzzle, do we have the resources to fulfill the animal’s behavioral needs, including access to food, habitat, and social interactions? Given that habitat loss is driving the current mass extinction, perhaps de-extinction efforts would be better focused on saving existing species, rather than introducing long-gone species – for which there are so many unknowns – into an already overburdened world. Hoppe, K. A. 2004. Late Pleistocene mammoth herd structure, migration patterns, and Clovis hunting strategies inferred from isotopic analyses of multiple death assemblages. Paleobiology 30: 129-145. Lister, A. & Bahn, P. 2007. Mammoths: Giants of the Ice Age. Frances Lincoln Ltd, London. McNeil, P., Hills, L. V., Kooyman, B., and Tolman, S. M. 2005. 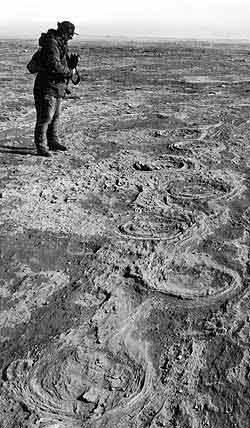 Mammoth tracks indicate a declining Late Pleistocene population in southwestern Alberta, Canada. Quaternary Science Reviews 24: 1253-1259. Palkopoulou, E., Mallick, S., Skoglund, P., Enk, J., Rohland, N., Li, H., Omrak, A., Vartanyan, S., Poinar, H., Götherström, A., Reich, D., and Dalén, L. In press. Complete Genomes Reveal Signatures of Demographic and Genetic Declines in the Woolly Mammoth. Current Biology. Rountrey, A. N., Fisher, D. C., Vartanyan, S., and Fox, D. L. 2007. Carbon and nitrogen isotope analyses of a juvenile woolly mammoth tusk: Evidence of weaning. Quaternary International 169–170: 166-173.